A man of many trades, Mario Lopez has the overwhelming desire to always keep active. Mario is the Emmy winning host of EXTRA, a nationally syndicated daily show. 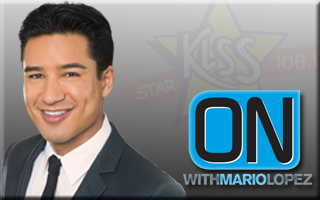 Concurrently, Lopez is the host of the nationwide iHeartMedia radio shows On with Mario Lopez and iHeartRadio Countdown with Mario Lopez. In July 2017, Lopez will return to primetime TV as the host of CBS’ Candy Crush, a live-action game show based on the popular mobile game. Not only does Lopez have a proclivity for the entertainment industry, he is also an avid sports fan. He has taken his love for sports, specifically boxing, to the next level as a recurring commentator on HBO Boxing. Lopez also produced the documentary CHAMPS, which premiered at the 2014 Tribeca Film Festival. The film focuses on the lives of boxers Mike Tyson, Evander Holyfield and Bernard Hopkins. In March 2015, MundoFox premiered the docu-reality series Los Golden Boys, produced by Mario Lopez and Oscar De La Hoya. The new series dives into what it takes to become a world boxing champion and the daily struggles fighters face. In September 2014, Lopez released his first autobiography, Just Between Us. In his memoir Lopez shares his successes and disappointments, never before-told stories and family values. Lopez became a New York Times bestselling author for his healthy eating guide Extra Lean. In May 2011, he released the follow up to Extra Lean entitled Extra Lean Family. This new book featured recipes and tips that are beneficial to the entire family. Additionally, Lopez penned Mario Lopez’s Knockout Fitness a bestselling fitness book that offers readers a look into his impressive workout regime, and Mud Tacos, a vibrant children’s’ book he co-authored with his sister Marissa. As a follow up to Mud Tacos, Lopez released Mario & Baby Gia, a children’s book he wrote for his daughter, Gia. The book is currently being developed into an animated series. Mario was named the Alumni Ambassador of Fitness by the Boys & Girls Clubs of America (BGCA), while joining the ranks of some 25 other prominent alumni, including Denzel Washington and President Clinton, in the organization’s BE GREAT campaign. Mario helps bring to light the major issues affecting today’s young people, including the importance of graduating from high school and maintaining a healthy lifestyle and the key role community based organizations like Boys & Girls Clubs play in the positive development of children. Even with all his other ventures, Mario is still in love with acting. Lopez reincarnated his guest-starring role as Dr. Mike Hamoui on the final season of F/X network’s popular show Nip/Tuck. Lopez’s run on the series garnished an instant and well-deserved cult following. He previously starred in the highest rated program in ABC Family history, Holiday in Handcuffs. He also starred opposite Mark Consuelos in the made for TV movie Husband for Hire, which was the most watched program ever on the Oxygen Network.